Welcome to the Illinois Animal Control Association! The Illinois Animal Control Association , ( formally known as County Animal Controls of Illinois or CACI) , is an organization representing Animal Control Agencies throughout the state. We hope you will find this website informative and engaging. Please check back often for updates on training opportunities and important legislative news. If you have questions please contact one of the board directors listed. We are here to help; networking is vital to our roles, and we want you to know you are not alone. 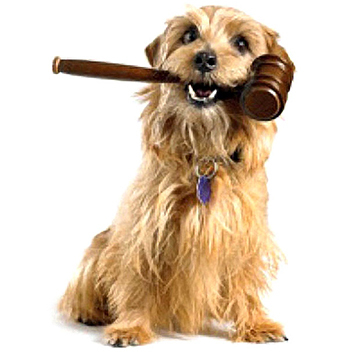 IACA was re-founded in 2005 in response to state legislation that dramatically affected the Animal Control Act. Originally, the group consisted of county operated animal control programs, and membership reached 62 of the 102 counties in Illinois. With the larger counties as members, CACI represented 90% of the state’s human population. After battling several legislative changes that would hinder animal control and diminish public safety, CACI decided to add other objectives to its mission. In 2012, the group expanded its membership to include municipal animal control agencies. Because of the expanded membership and the confusion caused by its original name, the organization found that Illinois Animal Control Association name was no longer in use and could be captured and used. In 2017, CACI changed to Illinois Animal Control Association (IACA) to better reflect its membership and mission. In the past five years, IACA has added training and education to its objectives in an attempt to promote the professionalism of the field. Since 2013, IACA has sponsored the Animal Control Track of the Prairie States Conference which offers nationally-known speakers and topics at affordable prices. IACA has also offered one-day training sessions covering Chemical Capture, Handling Vicious and Dangerous Dogs, Report Writing, Investigation Techniques, Officer Safety, and more. Check out the Training Page for a listing of this year’s workshops, locations, and topics. One more way the group has devised to communicate with its members is through the Facebook page, this new and improved website, and monthly member e-mails. With each of these methods, IACA offers information on trending issues, upcoming legislation, training opportunities, and more. If you’re in animal control in Illinois, join us as we move ahead to improve the opportunities and professionalism in our field. Become a member today! Consider being even more active and join us at a quarterly board meetings. Author iacaadminPosted on February 26, 2017 August 29, 2017 Leave a comment on Welcome to the Illinois Animal Control Association!